After such a nice, l-o-n-g and l-a-z-y winter break, my first week back was devoted to getting back into the swing of things. While I may not have been all that overjoyed to be waking up at 6:30 in the morning (as opposed to 10ish), nothing beats having a set routine. On the bright side of things, this semester I have no Monday or Friday classes so I’ll be able to devote more time to blogging! I hope everyone has a great MLK Day – here’s my latest installment of “monday favorites.” Enjoy! 2. [these. flats.] Why am I not surprised that these sparkly lovelies have already become a daily staple in my wardrobe. Sparkles are a neutral, right? 3. [ksny. agenda.] How many planners is too many? #seriousquestion Since I now already have two, I’m going to have to refrain myself from buying one by Moleskine. I can’t make any promises though… As for my new Kate Spade agenda, it’s more perfect than I could have imagined. The watercolor images by New York City-based artist Bruno Grizzo are oh-so-charming and the entire agenda is simply delightful. Not to mention the twelve destinations that are handpicked for each month. 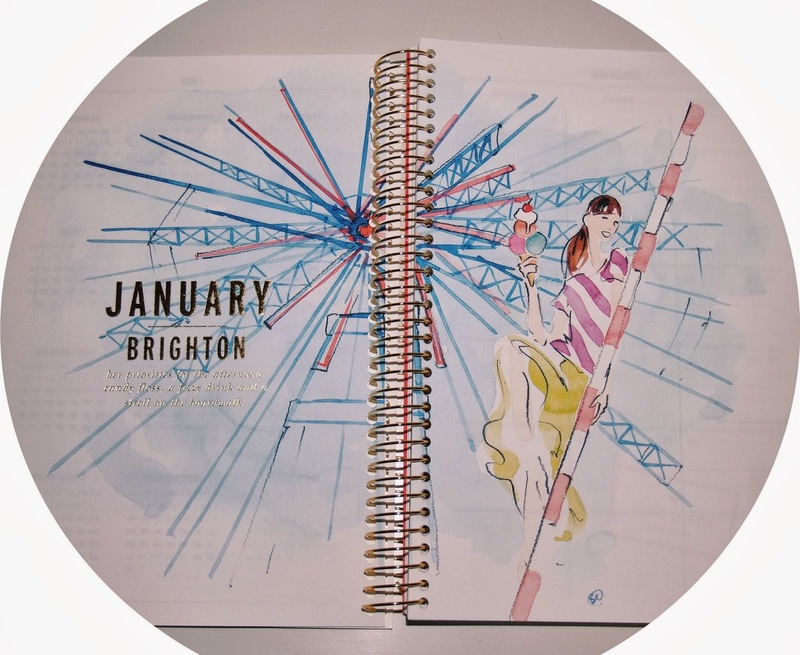 January is devoted to Brighton and the location for February is spot-on...any ideas where? 4. [sweater. stack.] Appreciate the small things – always. While I normally prefer to hang all of my sweaters, I noticed that I had a few that were especially delicate and deserved to be folded with care. I found a cozy compartment in my desk to be the perfect spot. I love it. 5. [pantone. wall. decor.] I made these DIY Pantone-inspired wall canvas paint swatches a while ago (see instructions here), but just recently located a spot on my wall for them. 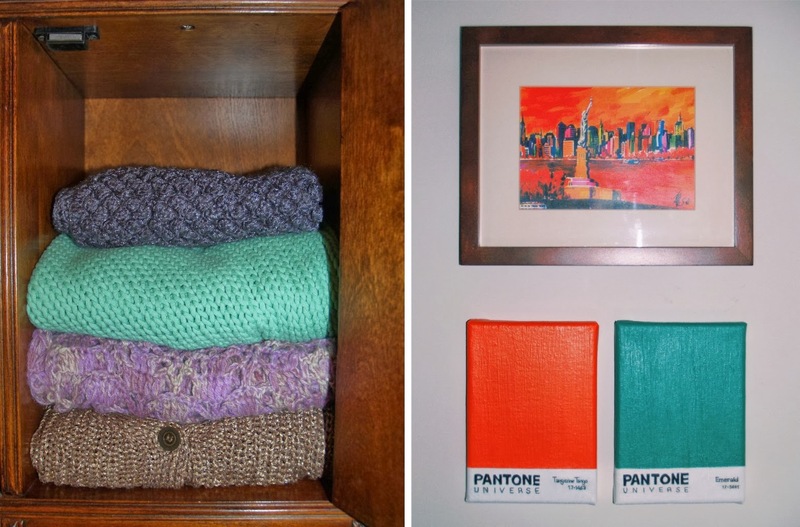 So far I have Tangerine Tango and Emerald in my “Pantone Wall of Fame”...you can bet that Radiant Orchid will be next!